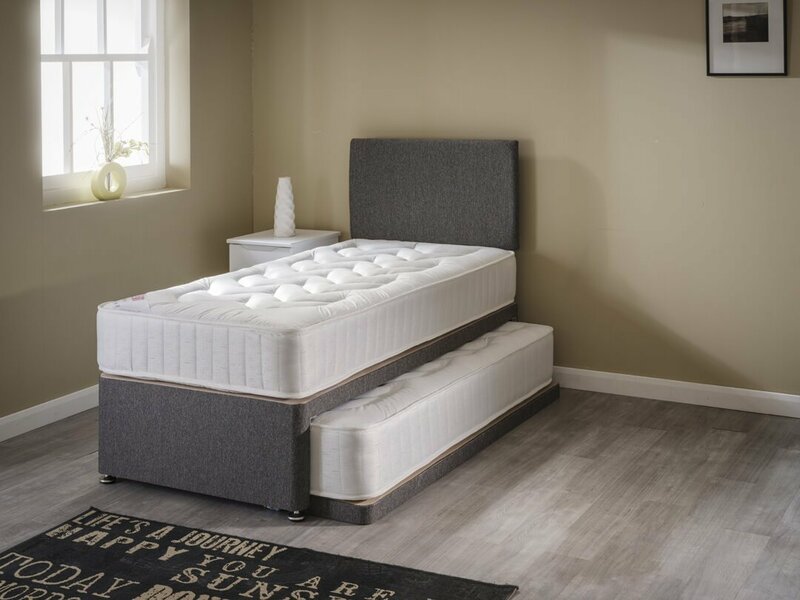 Our three-in-one guest bed can be used as a single bed, double bed or even two single beds. 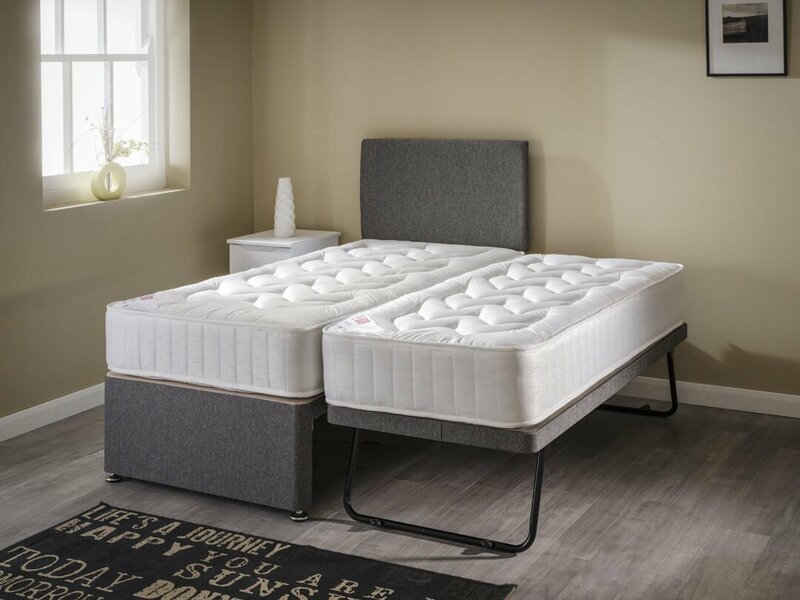 When not in use it limits itself to a single bed housing a 76cm x 175cm (2’6 X 5’9) under bed which can be pulled out on its easy running castors and raised to the same height as the main bed. The guest bed is available in either Candy, Reo or Jasmin.